As an epic drought desiccates fields and forages in the Horn of Africa, Government of Kenya officials, in partnership with Kenyan insurers, announced Monday payments to over 12,000 pastoral households under a breakthrough livestock insurance plan—one that uses satellites to monitor vegetation available to livestock and triggers assistance for feed, veterinary medicines and even water trucks when animal deaths are imminent. KLIP is based on the internationally recognized “Index-Based Livestock Insurance” model, which was developed several years ago by a team of agricultural economists from ILRI, Cornell University, the University of California at Davis and the World Bank Group, working in close cooperation with pastoralist communities. The signature feature of this novel insurance scheme is the use of satellite data to generate an index for grazing conditions, so that payments are triggered when conditions degrade below a certain critical level. The index eliminates the need for insurance agents to be out in the field monitoring forage and animals, which, given the remote regions involved, would make livestock insurance logistically and financially impossible to provide. 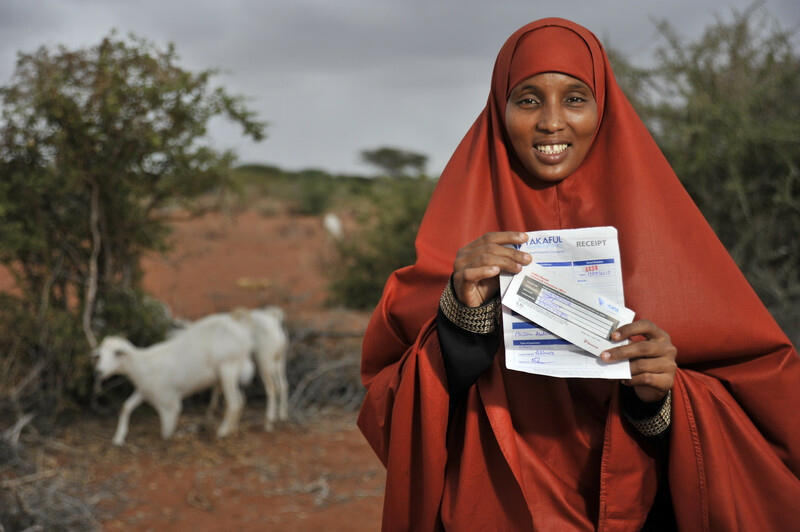 In February 2017, APA Insurance, on behalf of the insurance consortium, will disburse most payments directly to pastoralists’ bank accounts or to accounts accessed via mobile phones—an increasingly popular and convenient way to conduct financial transactions in Kenya, especially in the country’s most remote areas. For those without accounts, cheques will be issued.